You don’t even know what’s best to start with: the exhibition, the analysis of the text and of the artworks or the fact that we find ourselves in the biggest private gallery from Bucharest, in the space of the Combinatul Fondului Plastic (a factory for artist production in the communist period) of the UAP (Union of Plastic Artists)? This reopening, beyond an exemplary exhibiting proposal, contains several signs and messages regarding a new phase for Nicodim, for Teodor Graur, but also for the Combinat and for the contemporary art scene. At the same time, the message of the exhibition is extremely positive and eloquent. So, what should one describe first? We will pursue the analysis of the gallery and then we shall step inside the exhibition. At this moment, Nicodim Gallery enters its third phase of existence. 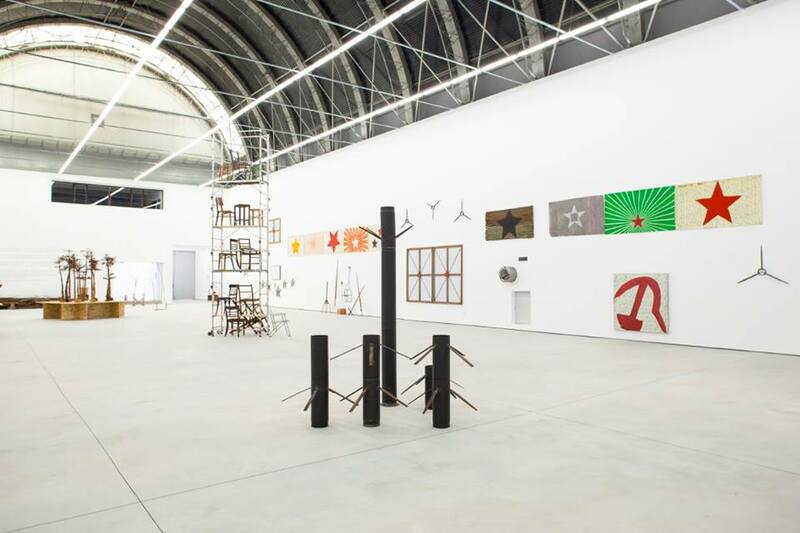 The reinvention of the gallery has a prime effect of lining among the established regarding the USA gallery and the expectations formed around the name descended in Bucharest. In relation to the austerity of the first phase from Odeon and to the baroque of the second phase from Enescu Museum, this phase renders a game at a whole new level. The choice of this new location is an act of courage or of unconsciousness because of a simple reason – at the Combinat, the visits are scarce, the location being placed at a considerable distance from the city center. 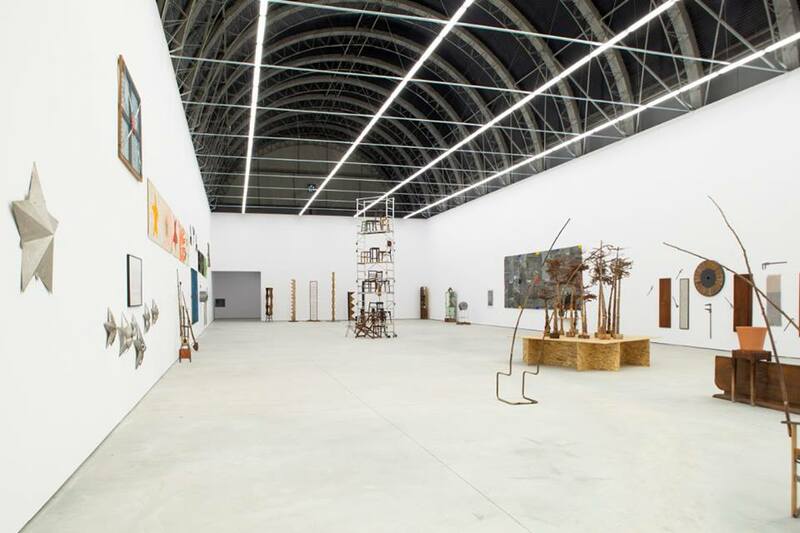 But the reward is an old space perfectly renovated with an impressive exhibiting surface in comparison to any other current space from Bucharest. Beyond all these architectural superlatives, we retrieve another eloquent message, namely the exhibiting of an artist who is established and valued both in the official, institutional environment and in the private, independent one. In this phase, Nicodim Gallery retrieves its identity. There emerges an agreement between the good presence of the name made in LA, USA and the tough post-communist and post-industrial reality made in Bucharest. Moreover, even though the list of exhibited artists has been eclectic and sometimes abstract or too transparent, lately, the exhibiting program seems to be more and more mindful and communicative towards the Bucharest scene. We delay entering the exhibition by noticing the fact that this apparition is interesting also from the point of view of the community of artists within the Combinat. Will the public of the new gallery become also the public of the Typography studios and gallery, or is it that this public indulges in other tastes and will seclude itself? This accidental junction between an island brimming with political and institutional meanings inherited before ’89 and a private independent gallery with independent infrastructure and authority can be seen as an act of general improvement of the image and politics of the Combinat. The place could become profitable for all kinds of public, from the artistic lifestyle “consumer”, to the history and culture one, up to the art collector. In a cumulated manner, at this moment, through the old studios of sculptors, through the new studios of young artists, through the exhibitions of the old and the new gallery, we come across a general content that may be more interesting from a cultural, financial and historic point of view than the content of other national contemporary art institutions. The circuit of a visit at the Combinat gains depth in both time and space. Let us step into the gallery. If we are to welcome the current exhibition as others until now, we risk filling the silence by looking for the curatorial text or by discussing contemporary art, by praising and explaining an already established discourse. However, it can be noticed that the moment is new and important, and this conjunction between a gallery made in USA and a first-class artist manufactured in R.S.R. would pose a promise; a message about near future, not about what we now see as exhibited and told. Hence, we shall quietly wait watching the parody from the brain washing barrel speculating new tracks of contextualizing an art which is almost always translated either through its social content, or through the contemporary esthetic ones. The materiality, the surfaces, the textures and the general articulation of the exhibition give off a plastic aura laying on other tracks the perception of this story presented as an “installation”. 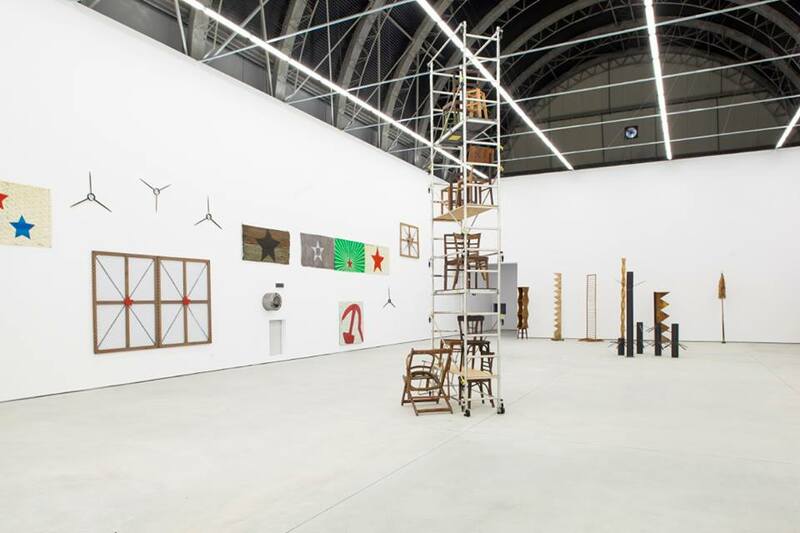 This sensitive propriety of a construction of sheet-metal, plastic, tools and engines has the capacity to transgress the object in different media, so that everything could be seen as a painting and sculpture exhibition (with, of course, an extremely critical and ironical position precisely towards painting and sculpture). Ecology, the new religion which lays existence on a self-devouring and self-interpretative track with messianic purpose and Recycling, the new ideology of resistance towards super production and reproduction, become the formal pillars in which we can land the surface lexicon of the exhibition. Still, there can be crossed beyond this utopian-activist web by pursuing the way in which the exhibition’s text and “image” relate to one another. The curatorial text or pretext is replaced with the artist’s statement regarding an ecological issue. If we are to confuse the personal assertion with the artistic curatorial text, we will regard the objects in a figurative, denotative manner. If we are to subsume the image of the statement with the image of the exhibition, there’s a chance of glancing in the depth of the objects, in the brands and symptoms of a post-industrial, post-atomic world. Wood is raw material and the wood as primordial matter speaks toughly and roughly, the technological significance dominates creation. Then, the wood transformed into tool, the tool dis-placed from the field of labour in the field of art would open another dialogue at the level of significance. The retrieval and recharge of a small fragment of raw material through its placing in art becomes once again primordial matter. In this semiotic and ecological web, the parody remains the last form of survival. More of a “laugh and cry” irony, if we amplify the tint from the end of the seemingly denotative title “Nature-Culture/ Stars&Grey”. In the “author”’s text, as T.G. signs the argument that replaces the predictable curatorial text, there appears an interesting strategy of contextualizing. The text doesn’t argue what we see or what is meant to be seen, but it is an act of bringing forth the artist’s position in front of the world. Would it be that the exhibition is an act of awareness with a role of taking action or is it a parody concerning fatality and social utopias? The environmentalist-activist image from the textual argument seems vocal, you hear the words, you see the artist, you don’t “see” the exhibition. This parallel between the argument and the exhibition creates a dimension which a curatorial text wouldn’t have imprinted, simply because the “voice” would have discussed art. The plastic aura I mentioned commutes the predictable ideological meanings towards the psychological meanings of object and image. In these terms, the same washing machine encountered in other older or newer discourses (exemplifying Yngve Holen, a young Norwegian active in Berlin, whose exhibition gained the Frieze Stand Prize award for the Stuart Shave/Modern Art gallery in 2015 or the Spanish Pepo Salazar, with the exhibition “Blong anywhere. Meat floating job position”, from Sabot), fundamentally differs from Graur’s washing machine. In the present case, we are talking about a cult-object of the fully mechanized human. The final pose of Teodor Graur’s object seems to be rendered rather by the sculptural monumentality or verticality, without competing with sculpture. The transparency and the possibility of viewing the figure of the washing machine both in rond-bos and inside, at the source of the “movements of soul”, furthers it even more in the realm of sculpture. In fact, it seems to be working more with the hermeneutic geometric area – the circle, the square, the cylinder, the cube, the star, and less with the symbolically functioning side of the device. The tools, flags, devices undertake the function of icons and amulets for this new era. The movement, (electricity, communication, artificial intelligence) function as gods creating history and civilization nowadays, probably in a way Marinetti would have never imagined it. Nature created Culture the sustainability of which is anti-Nature. No matter how cool and familiar Teodor Graur’s art appears nowadays for youngsters, it was equally cool in the 80s-90s. 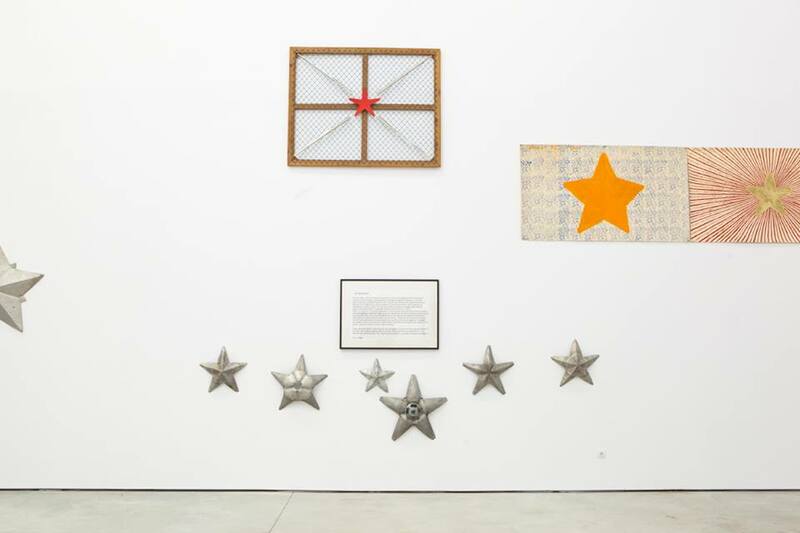 Then, the circumstance of working with other media, of using objects industrially found or produced was a form of escape, of hijacking, of resistance towards the traditional media and the system’s show of zeal, more thoroughly than in the previous decades. The urge was one of upgrading and experimenting the new contemporary reality, but the content and the position towards art had a modernist, post-modernist background. The first computers, tube TVs, audio-video tape triggered the symptoms of a new world, hardly internalized by our society. For that context, recycling, reusing, re-contextualizing were formulas and forms of creativity and survival in a world of underproduction and of the lack of options. Today, recycling is an effect of the ecological global awareness. Thusly, a surface meaning of this exhibition is the civic activism but as a projection of a psychological component, in the line in which the visual recycling and the ideological ecology could lay on thaumaturgical tracks the tension between animal nature and human culture. Of course, expressing yourself through objects that store social, industrial, political histories and meanings, juxtaposing and assembling them into illogical, spontaneous assertions represents by default an act of parody, analogical to the archaic practices of the first Dada. Recycling could be interpreted as an iconoclastic act of avant-garde background, and the encounter between artist and object could be a predestination, a vital discovery on the track of the artist through the world image. At the same time, the dis-placing of the object from the field of the functional in the esthetic one turns up as an extension of Bauhaus, DeStill mentalities, for which the serially produced object is art. 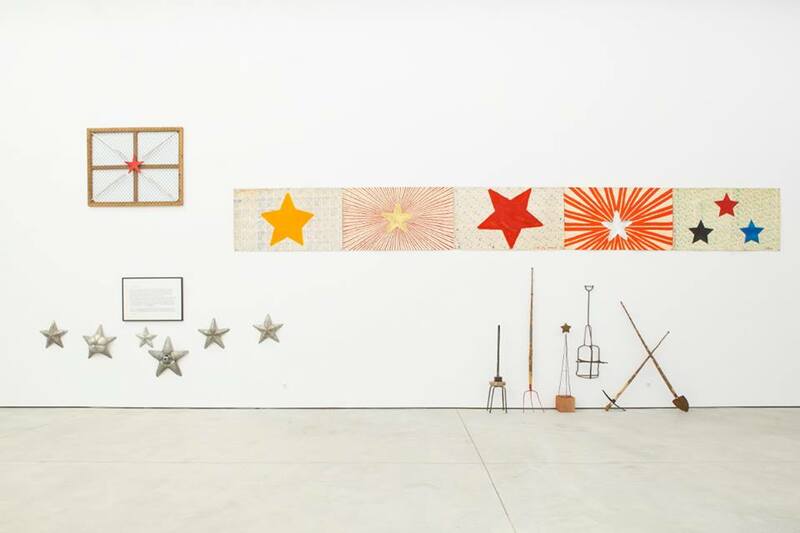 In this regard, it would be appropriate perhaps to deepen – in order to sustain – the fact that in this type of installation from Nature-Culture there also occurs a contact with the art before and after Duchamp. While in our society, technology or design are not yet seen as art, (undertaking a thesis of the artist proposed in the text entitles “Interior Articles – Useful or Useless – Which Make Our Life More Pleasant, More Comfortable…”), unlike the Occidental context in which Bauhaus has educated precisely in this direction the public’s taste, towards a deep and contemporarily useful “beauty”, it seems that on the local scene, after these 20 years of presence and production of creative industries (mass-media, advertising, IT, architecture etc. ), the Romanian design is somehow more vocal and more integrated in the world of contemporary art. However, evidence has it that the flux between the two scenes is still reduced and suspicious. For the creative industry, almost any production and design is art; for the official art scene, design is tekne and it differs from high-arts. In this way, the two scenes do not exchange at a quality level, cannot plan common strategies. They develop in parallel, even though they intermingle, just as we lately see through generous actions in this regard (as Romanian Design Week or Diploma), but the cultural capitalizing doesn’t flow both ways. The image capital seems to be rather in favor of the creative industry, which is an ongoing expansion process and doesn’t do anything else but filling the space left empty by official art. As speculative as this analogy between the Bauhaus effect on the Occident and the creative industry’s influence on us may be, from ’89 until now, the creative industry was the only gadget of disseminating the image of the self, the esthetics, the pop taste, the practical innovation through important methods, originally named by Edward Bernays (1928) “the propaganda of peace”. What traditionally is attributed to the role of art, to domesticate (in the sense taken from Peter Sloterdijk) the society, this aspect, in our case, was accomplished by the creative industry in a useful, efficient and irreversible way, after the 90s, a phenomenon which, before ’89, fell under the jurisdiction of UAP or of the propaganda ministries. Perhaps what we should be suspicious about is the ideological euphoria of “creativity”, not some paranoid paragone which is completely provincial regarding design and the creative industry’s productions, whether they are art or not. The democratization of the concept of creativity, but also the amplifying of the ikea culture of comfort during the last two decades, homogenize and blur the tints of perception and of production of artistic discourses of thoroughly different origins and values. How do you judge or how do you assess an artwork produced by an artist for whom creation and expression are life choices, are ways of being – not some pleasant creative moment in their spare time, in relation to a production created in a context that is ruled and pseudo-ordered commercially, politically, socially or purely ornamentally? While Bauhaus educated the public taste with the aim of cherishing the useful-beauty in society, nowadays, the aim of the creative industry is rather to educate and stimulate society towards consumption, production and reproduction in an access-free manner to all the dissemination gadgets for the others. From an expressive, intellectual position, art has become a visual game of communication and socialization. This aspect can be seen precisely as a disorder of the creative behavior, and not as stimulation. The ideology of creativity is regarded and disseminated as free practice, crude, spontaneous, with a fundamentally therapeutic role, or with a role of individual and social developing and aestheticizing, opposed to the idea of art as personal esthetic, mental, hermetic, dialogical experience. Being able to cherish and to own a chair or a corkscrew drawn by the artist differs fundamentally from reproducing the design of any artist on a 3D printer, in the living room. Buying a washing machine from Second Hand and exhibiting it as art differs from finding (discovering), on a path started 40 years ago, the signs of a scattered ideology in the components of a washing machine. The hyper-arousal of creativity is limited by the limit of Nature itself. If creating becomes consuming, then there has to be questioned the urge of creating. As long as Nature played the macro-house role, Culture was the metaphor that linked the micro-design of the human to the macro-drawing of the cosmos. Nonetheless, when Culture makes us consume Nature completely, we’ll be thrown upon reproducing on the 3D printer, out of imagination, the second model of the primordial tree. Or maybe we’ll be praying at the disjointed washing machine barrel, orbiting around a steaming Saturn. In this hyper-creative present, the installed art is inflated. Having reached mainstream visual codes, it accedes to hyper-aestheticizing, to the loosening of a critical assertion or position, it becomes more and more ornamental and politically-correct, deprived of any significant charge. On the other hand, this temporary art with a canonic appearance of evergreen pop gives birth to objects dependent of textual individuation, of jargon of ongoing evaluation and contextualization. However, in the case of the current installation, which seems a package of abstract anthropo-signatures (like the traces of historic, ideological, mnemonic depreciation) the object gains mythological, mystifying directions and meanings. In the end, and completely neutral, the object asserts itself in an exclusively visual manner, silently, as a metaphor that links the paradox between a creating nature and a consuming culture. Teodor Graur represents the case of an established discourse for whom official/private, local/global, post-modern/contemporary and other antithetical nuances of context, meaning or positioning are hijacked through the simplicity of the conceptual aspects and through the final pose and articulation of the object. Recycling, the economy in communication and expression, the reduction of production dialogs both ecologically and artistically. This eco-art answers the question: Why would you produce/create an additional object, the same as the others already created and manufactured, when you could dig and find in the archeology of human culture and nature the myths of the new world?